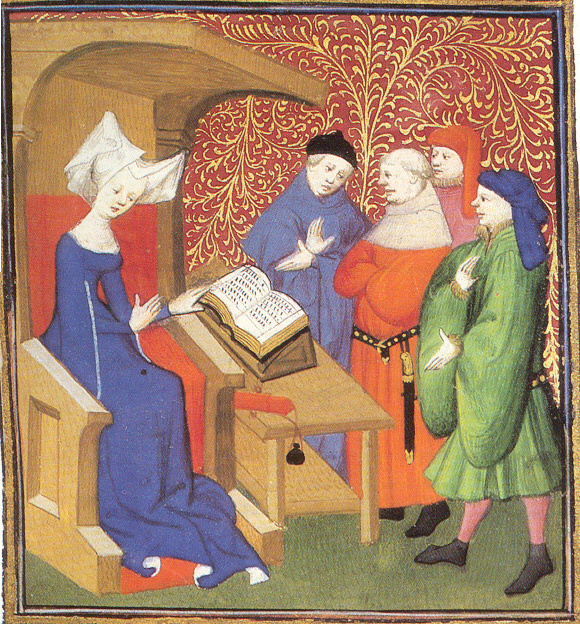 Christine de Pizan: a working, writing mother in medieval France. She was famous! Celebrated! Made money! And she wrote about women. Who had been written out of history. Oh, the irony.